Please find below further details for the BDAC Tommy Clay Development Series and timetables for the first three matches. The series is by invitation but in return we wish obviously for a commitment to participating on a regular basis. We would appreciate it if you would distribute details amongst your members and let us know by the end of March if you are supporting the series. 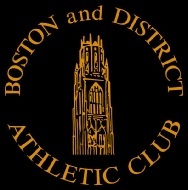 Only athletes from supporting clubs may compete. We hope that your club athletes will embrace the opportunity for further competition . Any extra officials/helpers at the matches will be much appreciated to allow as much competition as possible. We look forward to hearing from you by March 31st.